There are times when you need to split audio files with the use of your Mac. The fastest and best way to do the task is with the use of audio splitter Mac software. There are lots of programs made to split audio tracks. If you are looking for the best free apps for the Mac, then you are in the right page. Below are the top audio splitters for Mac users. 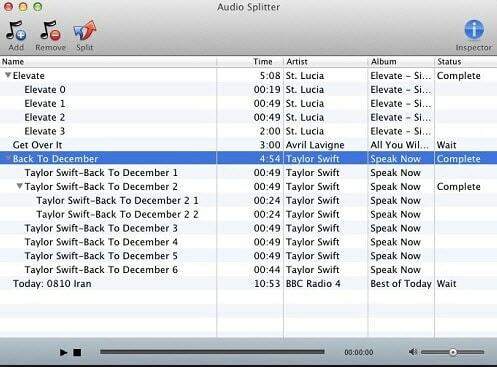 Mp3splt(Mac) is one of the best audio splitter software available. It is open source software that has the ability to split MP3 and Ogg Vorbis audio files. It is useful to split large MP3 files into smaller files or to divide entire albums into individual tracks. It is also easy to use. You just need to select a start and end time position. The best thing about Mp3splt is that it doesn’t decode the file during the splitting process, which avoids loss due to digital degeneration. If you need to split an album, you can manually input the split points and the filenames, or you can get them through CDDB or .CUE files. 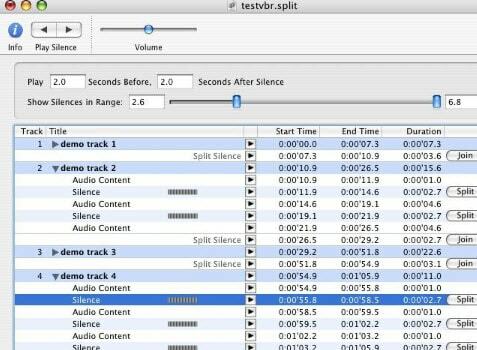 The audio splitter Mac software also supports automatic silence split that can be utilized to adjust split points. It also supports ID3v1 and ID3v2 tags. It is also available for Windows and Linux users. Another free audio splitting software running on Mac computer that you can use is Macsome Audio Splitter Freeware. It can be used to split MP3 or AAC files into smaller files in just a couple of seconds. It preserves the tags and the sound quality of the files while splitting them. It also allows batch splitting, which is good if you have several audio files that you need to split. To split audio files, you can select by time or number of pieces. You can also choose the start and end time to split. Macsome Audio Splitter Freeware has a playback feature that allows you to play the audio file and adjust its volume. The audio splitter Mac software is compatible with Mac OSX 10.4.x or 10.5.x with at least 512 MB of physical RAM. The only downside is that it can only split audio files that are unprotected or DRM-free. MP3TrueEdit is a simple audio splitter Mac tool that has been designed to edit MP3 and AAC audio files. While it costs $11.99 on the Mac App Store, you can download and try it for free. The developers have made the app to split or edit files without the need to decompress and recompress the audio. It guarantees that there is no loss in the quality. It is also designed to protect the audio file from becoming corrupt or invalid during the splitting process. MP3TrueEdit is more than just an audio splitter Mac software. It is an audio editing tool that allows you to edit audio files. It can also be used to record meetings, talks or lectures so that you don’t have to miss a word. You can also record band practice sessions or choir rehearsals. Then you can edit the tempo or pitch of the recording to suit your needs. MP3 Trimmer (Mac) is a quite easy to use audio splitter Mac tool. Not only does it allow you to split MP3 files, it can also be used to edit, join, repair, analyze audio files, and a lot more. There’s no need to re-encode and convert file formats with the use of various applications. All you need is the MP3 Trimmer if you want to remove portions of your MP3 files without losing the quality. 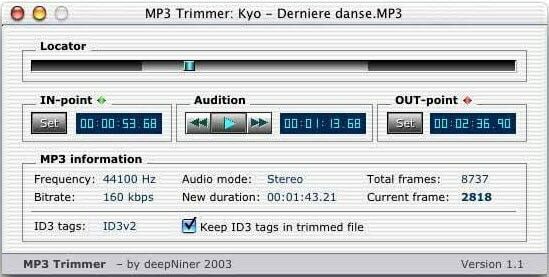 With the MP3 Trimmer, you will be able to remove the undesired portion of the audio file, add some fade-in/fade-out effects, change gain and add silence. If you have a couple of large audio files that needs to be split, then you can benefit from the batch-edit feature of the MP3 Trimmer. It also has built-in tools that will help you analyze and repair broken audio files. It is free to use as long as you want. AudioSlicer is a Cocoa GUI app for Mac OS X. It was designed to find all the silences in an MP3 file. It also allows you to split the audio file and tag them properly. While there are other audio splitter Mac apps that can do the tasks automatically according to specific criteria, AudioSlicer displays the silences within the specified duration. It allows you to listen to the audio before and after the silence. Then you can decide if you want to do the split at that point. Splitting of the file is done without any loss to the quality because there is no decoding or re-encoding of the audio file during the process. It is compatible with Mac OS X 10.3 and above and supports both Intel Macs and PowerPC.